College of Performing Arts students have access to multiple world class performance spaces within the newly-renovated Arnhold Hall as well as other New School buildings. Specifically designed to house visually compelling, experimental, and interdisciplinary work, Glassbox Theater is the window into performance and process at The College of Performing Arts. 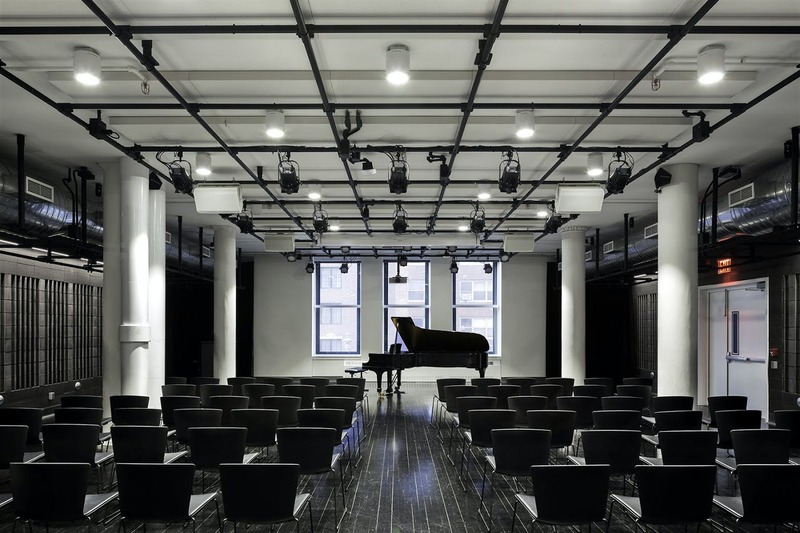 With black floor, red curtains and window looking out on 13th street, the iconic space is home to The Stone at The New School, curated by John Zorn, which presents experimental and avant-garde artists every Tuesday through Saturday evening. Glassbox is also used by Mannes School of Music and The School of Jazz and Contemporary Music for student, class, ensemble and faculty performances as well as by the School of Drama for Creative Cafe and Directed Research performances, and many other public performances, lectures, and masterclasses. With an innovative “concert hall meets black-box theater” design, the Ernst C. Stiefel Hall is one of the main performance spaces of the College of Performing Arts. It has acoustical concrete walls, tuned for music performance as well as black-box theatrical capability. The room features user friendly lighting and sound controls, a recording booth, and presentation technology. The space is designed to host a range of events from student recitals, theater productions and everything in between. 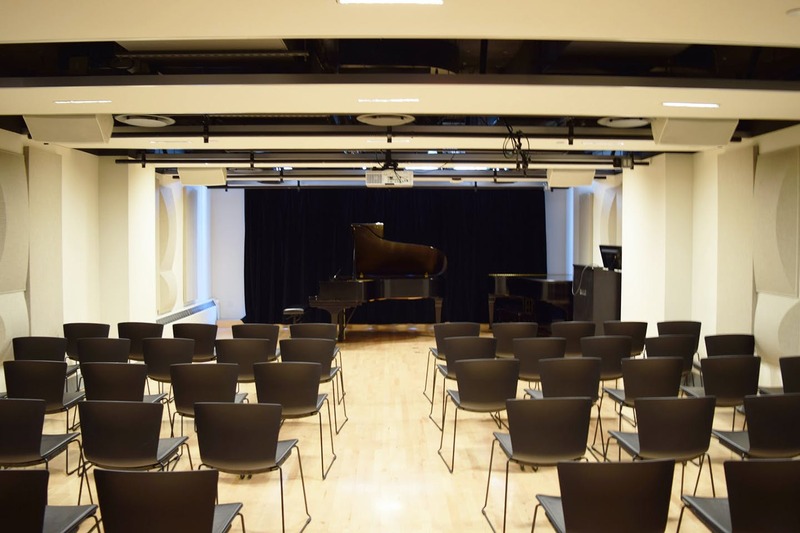 The Jazz Performance Space serves as the center of Jazz and Contemporary music-making at The New School. 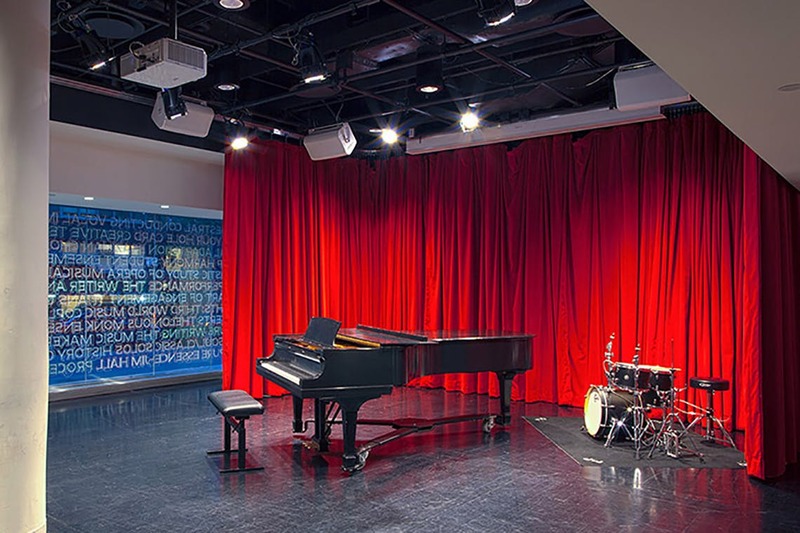 The stage and seating configuration of the space evokes a nightclub atmosphere and is primarily used by School of Jazz student, class, and ensemble performances as well as lectures, master classes and visiting artist showcase events. 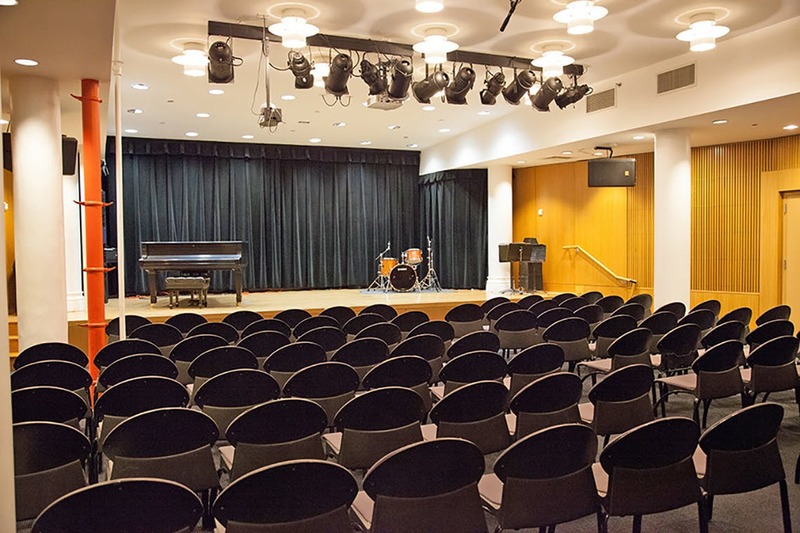 Baisley Powell Elebash Recital Hall is an intimate, multi-purpose space used for student recitals, class performances, chamber music performances, classes, and recording sessions. Elebash Hall features a recording booth, acoustical treatments, and smart classroom technology. The Theater at 151 Bank Street is a 116-seat blackbox with full lighting, sound and theatrical capability where The School of Drama presents fully-staged theatrical productions as well as various music theater projects. 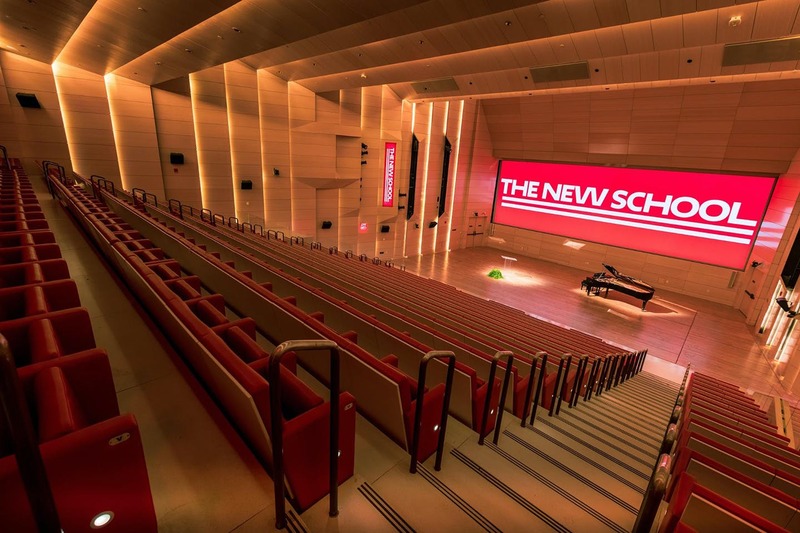 John L. Tishman Auditorium is the largest venue at the new University Center and the signature space at The New School. It features modern bamboo walls, several stage configurations and flexible seating. It is a perfect venue for large lectures, conferences, workshops, film screenings, dance and musical performances, and fashion shows. Tishman is used by the College of Performing arts for orchestra rehearsals and performances, MACE ensemble performances, (Un)Silent Film Night, Winter Jazzfest and other important public programs. Seating Capacity: 479, 668 or 800 (most typical configurations). Tishman has removable stage seating which can increase capacity (668) and also the curtain wall at the rear of the house opens, allowing two classrooms to be converted into additional seating (800). A/V and Facilities: Multi-image projection, a main screen with a projection image of 15'-9" x 47'-0", surround sound system, theatrical lighting, video conferencing, and podium. Designed and built in the 1930s by legendary architect Joseph Urban, the Auditorium is an impressive 468-seat venue with a proscenium-style stage. It was named one of the world's most powerful rooms by ABC News in 2014, thanks to the incredible roster of public figures and leaders who have spoken there. 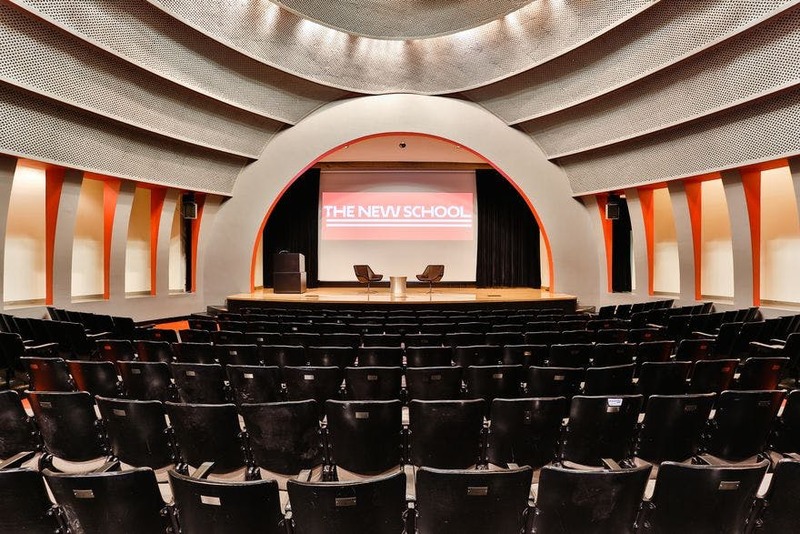 The Auditorium also has a long history of hosting the many performances of The Schneider Concert Series at The New School. 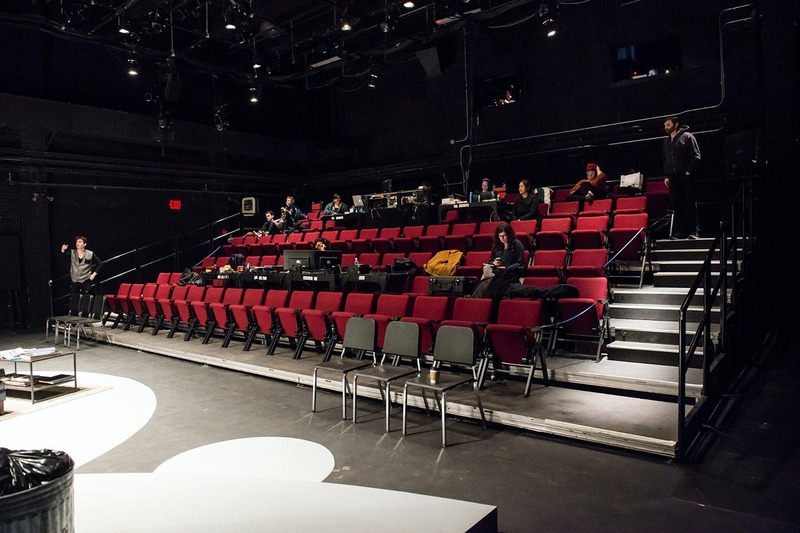 The College of Performing arts uses the Auditorium for opera scenes concerts, faculty and ensemble-in-residence concerts, Mannes Sounds performances, theatrical performances, lectures and master classes, as well as many other high-profile events. Location: Alvin Johnson/J.M. Kaplan Hall at 66 West 12th Street.